If you're NEW, don't worry! You can start dancing with these Complete Beginner Guides to Latin Dancing! 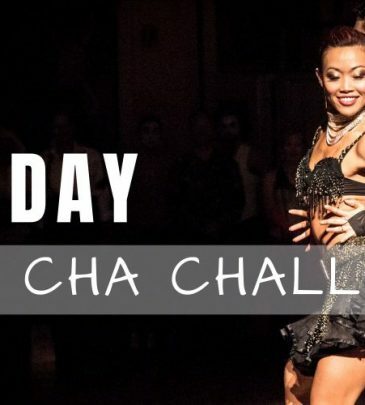 Learn the Top 10 Steps to Rumba, Cha Cha, Samba, Paso Doble & Jive RIGHT HERE, RIGHT NOW. We have been dance and life partners since we met in 2003. Tytus is a 4x United States Latin Dance Champion and LiWen is a professional latin dancer and a certified power yoga coach. Together, we have been training and supporting dancers – from ballroom dance beginners to world champions – to improve their technique, artistry, creativity, performance, social dance skills and confidence. Our unique combined experience of more than 40 years of dance teaching and dedication to fitness and yoga, has given birth to our own structured, fun and effective programs to train your mind and body for new dance habits. I've taken many online dance classes. Dance Insanity is my new favorite. I like the explanations and the ability to replay and review. I thought the explanations and demos were so well thought out that I really get it. Your courses are so much fun to watch and learn from, I'm looking forward to some fun. Often the competitive dancing gets too much like work. Though I have just started, I am very impressed and motivated by the precision, energy, and joy you exude throughout the videos (Introduction to Spins Course). Thank you. Thanks a lot for making such a great course (Rumba Technique Essentials). I learnt plenty of useful tips and it's already helped me improve. I think I take more out of this than private lessons. What can you learn at Dance Insanity? Dance Insanity is the Best Place Online to Learn Latin Dancing. 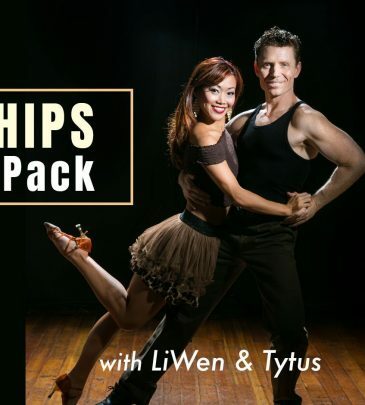 Here, you can learn the Cha Cha, Rumba, Samba, Paso Doble, Jive, & Salsa from LiWen Ang & Tytus Bergstrom. Because our mission is to infuse the world with dancing, we have a ton of FREE Online tutorials for you to start learning right away. From steps, creative patterns, to technique, partnering, musicality, spinning. Everyone learns better when we're having fun. So, that's what we at Dance Insanity embody in our teaching and dance philosophy. Through dancing, you can create a more passionate, fit and happy lifestyle that can last you a lifetime. So, start dancing today. Because it's just CRAZY not to. Improve your dance skills and understanding of Latin Dance Technique. Learn creative social dance patterns for all your Latin Dances. Discover interesting dance articles & lifestyle tips from us! Develop good habits & create more passion in your life. Get fit with conditioning workouts and stretches. Watch our dance shows – we focus on musicality and storytelling via latin/ hip hop fusion. Laugh and be entertained with our fun dance films.